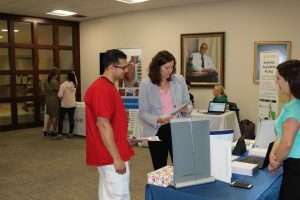 On Wednesday, September 26, the Health Sciences Library hosted its first HealthTech Fair. We had representatives from eight companies talking about the great products they offer, which are all available through the HSL. 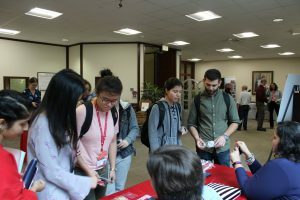 A representative from the National Network of Libraries of Medicine was here to disuss about great free resources from NLM, and representatives from DoIT presented on the services they offer. 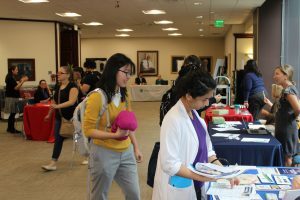 More than 130 students, faculty, and staff attended, from all the Health Sciences schools and the university hospital. Based on feedback, attendees and presenters alike commented on how successful the event was. If you missed this year’s event, watch out for news of HealthTech 2019!